Ask These Five Important Questions Before Hiring A Florida Roofer. 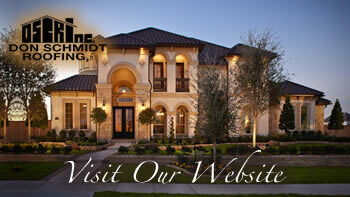 Home » Don Schmidt Roofing Blog » Ask These Five Important Questions Before Hiring A Florida Roofer. Where is the location of your local company office? Legitimate roofing contractors in Florida will have a physical location. If the roofing contractor you are about to hire does not have a physical office or operates from a truck, this should immediately raise a red flag. This is because in case of any problems, there are no guarantees that you will ever find them if they don’t have a physical office. It is highly recommended that you work only with the roofers that are licensed, bonded and insured. By having a license, the roofer proves that they have the technical know-how to do the job, insurance will shield you from any damages which may occur on your properties or injuries sustained by the workers during the project and the bond will protect your financial investment. In this manner, you will not worry about the mishaps, financial losses or injuries sustained when the contractor is working on your project. Do you provide any roofing warranties? If the contractor has no roofing warranties, you will be left alone and in the cold should something go south after the job is done. An ideal roofing contractor in Florida should provide warranty on the roofing materials as well as the roofing parts installed on your home. Most companies offer a ten-year workmanship warranty where they agree to come back and offer free services should something wrong happen after they are done with the installation. Therefore, take your time to ensure that your preferred roofing contractor has a warranty and read the fine print to be sure that the agreed upon warranty is indeed included. Do you have any homeowner references? Without homeowners’ references, you will not know the quality of services as well as the experience to expect from the roofer. Ask the contractor to provide you with references to their past projects so that you can do your due diligence and determine if they are the right fit for your project. You should also take your time to go through online and read the various reviews from the past clients of that roofing contractor. If you are not happy with the reviews or the references, keep on looking for another roofing contractor. Will you give any written estimates? A good roofing contractor in Florida should provide a detailed roofing proposal. Such a proposal should have specifications, including approximate costs of materials and labor, the payment procedures as well as the start and finish dates. In the absence of a written proposal and written estimates, you will be swimming in the dark and you might never know the cost needed to complete the project. You risk not only getting scammed, but also having a poorly done roof at the end of the projects because you didn’t really agree on the quality.